There is nothing like listening to the frogs and crickets singing in the background to the music playing on a warm summer night. 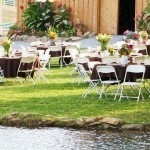 Come have your country wedding, reception, family reunion, gatherings, or get-togethers. 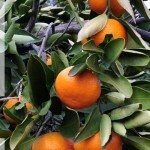 When Thanksgiving is approaching and our mandarins are turning bright orange, it’s in the air! Your taste buds are ready to savor that sweet, unique flavor of mandarins. They are the best! We are a working farm. 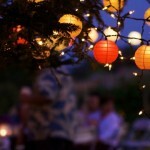 Raising cows, loving horses, growing flowers, vegetables, mandarins, pomegranates and various other fruits. We are selling premium Alfalfa Pellets! Web Design by D4 Web Design.